Chelsea star, Eden Hazard, is confident there is more to come from Gonzalo Higuain, after the new signing opened his goalscoring account for the club, during Saturday’s 5-0 win over Huddersfield. It took Higuain only 16 minutes to lift the mood inside Stamford Bridge, latching onto N’Golo Kante’s clever pass and rifling his shot beyond Jonas Lossl. The 31-year-old, on loan from Juventus, capped a fine display with a second goal 20 minutes from time. “We try to work with each other, Higuain is a new player but he knows what the manager wants. “He is a great striker and he can score a lot of goals. England is different than Italy and Spain but he has that ability. If Giroud or I play as striker we always try and help each other. “After this game our confidence is better than two days ago but we play the champions so we know it will be difficult. We beat them at Stamford Bridge so why not again? “I always say when we lose a game, we need to win the game after and we did well today. We played one of the best games of our season and scored five great goals. “The fans were not happy on Wednesday and now they are so we are happy. We want to keep playing like this, like the manager wants. 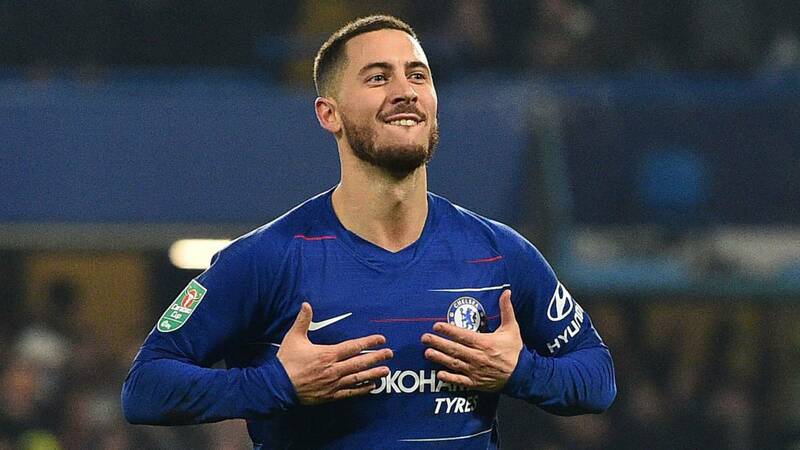 “I think he (Sarri) will be happy, because he was wanting a reaction from us and we gave him one,” Hazard told Sky Sports after the game.